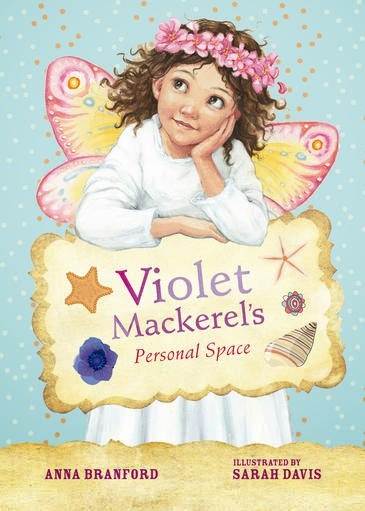 All of the Violet Mackerel tales are filled with heart and Violet Mackerel’s Personal Space is no exception. Violet’s boundless curiosity leads her on a quest to learn and be involved in everything, which in turn leads us to discover broken hearts and treasured memories. There is good news and not-so-good news in this, the fourth book in the series. Violet’s Mum and her boyfriend have decided to get married. Their decision means that the newly formed family will have to move to a bigger house. Daniel, Violet’s brother, doesn’t take the news well. In fact, he leaves home, taking up residence in a leaky tent. Violet learns that it is hard to give people space when they are hurting. Bitter sweet at times, Violet Mackerel’s Personal Space shows that there is always room for hope, especially when doors are closed tight. Sarah Davis has a down-to-earth but heartfelt way of sketching people that makes me want to reach out and hug them. When embedded within Violet’s tales, these illustrations add both joy and pain.